Where is Adelaide's Best Mexican? 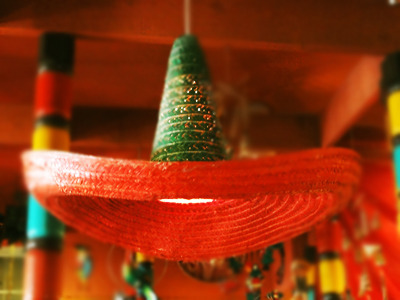 Mexican is always a popular choice, anything from Tex-Mex takeaway burritos to jugs of margaritas helping a meal go down. So we want to know where your favourite Mexican joint is. Let us know if it's authentic, and reminds you of the bustling streets of Mexico. We even want to know if it's as authentic as a donkey painted like a zebra, if you like it we want to hear all about it. 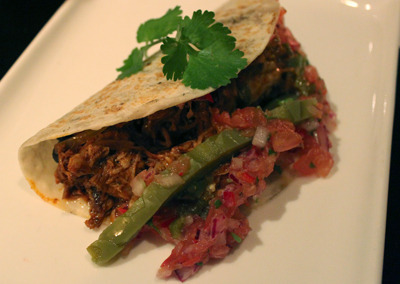 So lets pile on the jalepinos and the guacamole and take a look at some of Adelaide's Mexican choices. Restaurant wise there are quite a lot to choose from. Montezuma's have a few locations around Adelaide, and just up the road from Montezuma's Melbourne Street restaurant you'll find Zapatas. They serve your usual bakes burritos, enchiladas, and quesadillas. The list continues with Gringo's Mexican Cantina, and Cha-Chi's Mexican Cantina. There are definitely a few places on the list that get a lot better when you're washing down the food with a jug or two of margarita or sangria. There's less choice at a burrito bar, and usually the combinations aren't authentically Mexican, but they are a fresh and tasty lunch option. In the city Burp and Zambrero are the top two options. Each does a different twist on the burrito. Burp once reigned supreme, but it feels like it's gone down in recent years, and Zambrero is moving in on the territory. Other places you can grab a burrito include Arriba Grill on Prospect Road, and Salsas. 2012 has seen two new faces join the Mexican scene, and both are getting good reviews. Lucky Lupitas is in Bedford Park, right near Flinders Hospital. It's not the easiest place to spot, but once you're inside the decor is fun without being tacky. Their food is Mexican and Latin American, and they claim to keep things more authentic. Maiz & Mezcall on Magill Road also likes to tout it's authenticity, they've got tasty food and a good list of drinks. Finally an interesting choice is the Hotel Tivoli. It might not seem like your first choice for Mexican, but their new Cantina Mexican street food menu has some really tasty options. Everything is under $10, and while one dish won't fill you up it's cheap to sample a few things off the menu. The flavour combinations are interesting, and they have a good selection of cocktails, tequilas, and beers to accompany the food. So which one is your favourite? Make sure you let us know which Mexican you think is the best, and tell us just why it's so great. Arriba on prospect rd is a great choice is you want a big lunch. HUGE burritos with a organic and local ethos. really cool young business! support them! Viva zapata in semaphore has a really fresh and tasty menu, with a great view of the sunset over the water!